We’ve had the pleasure of Blitz’s presence since the summer of 2017. He was surrendered by his owners because of his medical condition. 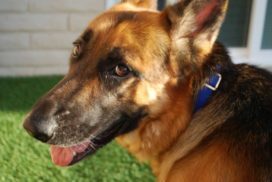 He was purchased as a puppy and grew up in a family with kids that he loved for more than 5 years. He developed issues with his intestines, including constipation and diarrhea, and because proper, recommended medical care was not administered, Blitz developed a condition called mega colon. When he first came to SPR, we were not sure he’d survive. He was at risk of developing a blockage or perforation in his bowels, and surgery was not an option as too much of his bowel was involved. 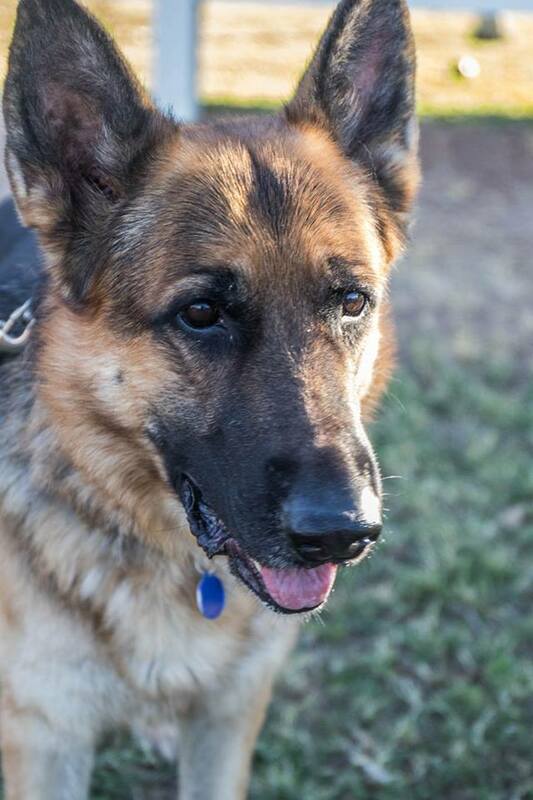 After many visits to veterinarians and specialists, Blitz is now medically stable. He is able to eliminate but continues to strain. His enlarged bowels have shrunken a bit, and he is no longer in pain. He requires a special, single-protein diet and supplements two to three times a day. Blitz went in to a foster home for a short time but did not do well with the change in his routine and surroundings. He is definitely a creature of habit, and has shown he does best with familiar surroundings and familiar caretakers. 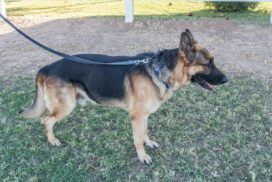 We would consider placing him in a foster home with someone who is willing to spend lots of time getting to know him here at the Dog House, and who would be willing to work closely with volunteers to assure a smooth transition. Otherwise, he will remain at the Dog House as a resident of the Sanctuary.